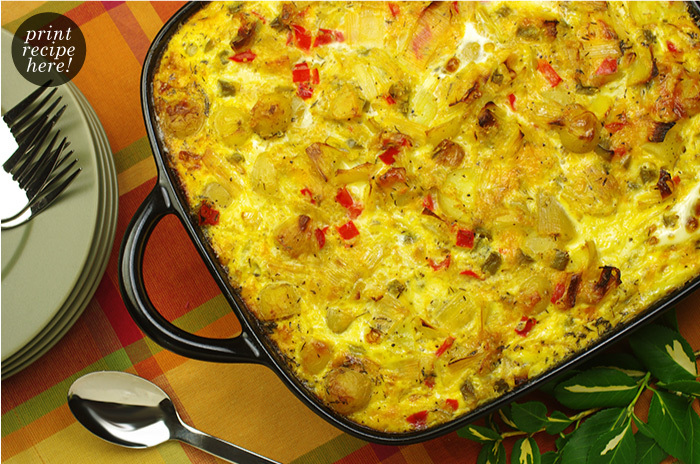 Try this for lunch or a light supper. Quinoa is a staple grain in South America. 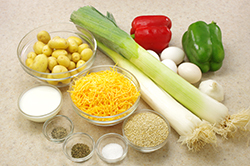 It is high in protein and cooks in about half as much time as rice. (with skins on), cut into 1-inch dice. 1. Preheat the oven to 350°F. Coat a shallow 2-quart casserole with cooking spray. 2. 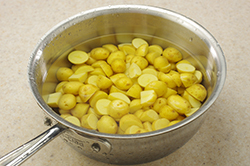 Put the potatoes in a pot with just enough water to cover and cook until they are tender, about 15 minutes. Set aside. 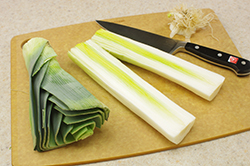 Wash the leeks, pat dry, and cut into 1-inch pieces. 3. 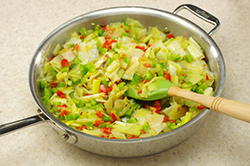 Place a large skillet over medium heat and add the olive oil. 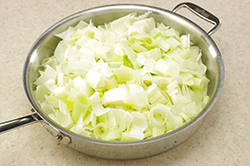 Add the leeks and garlic and sauté for 5 minutes, or until the leeks and garlic are tender. 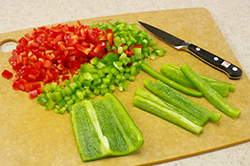 Add the bell pepper and cook, covered, for 5 to 10 minutes, until peppers are crisp-tender. Remove from the heat and set aside. 4. In a large bowl, beat the eggs and milk together. 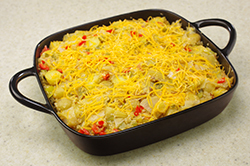 Stir in the quinoa and add the cheese, potatoes, bell pepper mixture, salt, pepper, and thyme. Transfer to the casserole. 5. Bake, uncovered, for 35 to 45 minutes, until the top is golden brown. Let rest for 5 minutes before serving. Reprinted with permission from The Best Casserole Cookbook Ever by Beatrice Ojakangas. Copyright 2008. Published by Chronicle Books, LLC, San Francisco, CA.